Archaeologist Bill Boismier has been sifting through British soil for over 40 years for ancient historical artifacts and he may have just come across one of the greatest finds of his career. Boismier was digging alongside bulldozers working on a £1.5bn road project when he and other archaeologists discovered the remains of a Mammoth, a Woolly Rhino, and a medieval village. As Boismier bent down to retrieve something from the soil, a site cleaner asked, "What is it? Is it … a dinosaur?" Boismier, who is dressed in full safety gear along with everyone else at the site, said, "Not quite. But it is an ancient species. It could be more than 130,000 years old." The mammoth bone is the most recent discovery at the site of Britain's biggest road construction project which Archaeologists like Boismier expected to turn up some artifacts. The mud-caked leg bone was carefully removed and stood around the height of a 5-year-old child. Another archaeologist named Steve Sherlock of Yorkshire is overseeing the archaeological work and the strict planning requirements that accompany the road construction project. Sherlock and his team of archaeologists also unearthed an entire medieval village as well as an 8th-century comb carved from a deer antler. They also discovered dozens of Roman brooches and a bone flute in the uncovered remains of the ancient village. Dai Davies, a Welsh bulldozer operator, has been cooperating with Boismier and around 250 other archaeologists. Davies points at another digger who is digging by hand and says, "He’s looking at the moment for a different color when he’s digging." Sure enough, the archaeologists made another discovery, an intact skull of a woolly rhino. "You tell people down the pub you’ve found a mammoth tusk and they say ‘no you haven't' and you have to show them a picture," Davies said. "It's not something you encounter every day, is it?" Back when the creature was living, much of England was covered by glaciers and ice sheets. "You see some of the greyish blue clay there," Boismier said as he pointed to a clump of earth. "The dinosaurs were alive when that was deposited." The discoveries are likely to delay the road construction project as excavators work with archeologists to uncover the ancient remains. "If an archaeologist says to a contractor, 'Oh, that won’t take long,' the contractor thinks they’ll go off and have a cup of tea and it’ll be done," Boismier explained. "But 'not long' for an archaeologist might be two weeks." The woolly rhino skulls have a honeycomb structure that makes it more difficult for them to withstand the test of time but somehow this one did. "To get a complete one is just amazing," Boismier says. "At first we didn't know what it was." 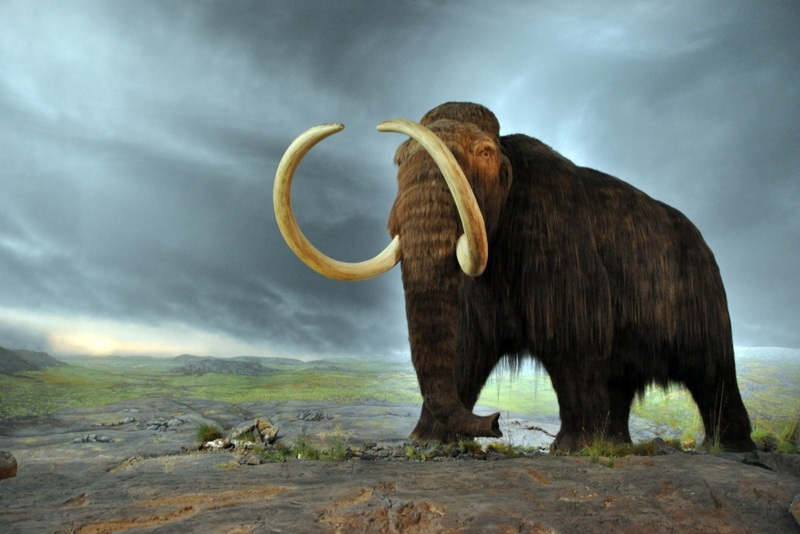 The giant creatures went extinct some 10,000 years ago and the discovery of their remains is always exciting for archaeologists who can glean new information from the creature's past. Who’s fault was the global warming trend that took out these critters?